Outstanding Bay of Islands accommodation The Sanctuary is located on the east coast of Northland, in one of New Zealand’s most popular locations for water activities and scenic travel. The property sits majestically on the Opua Hill between Paihia and the small settlement of Opua. It is conveniently located directly off State Highway One, the main road north, just 5 minutes before Paihia township. 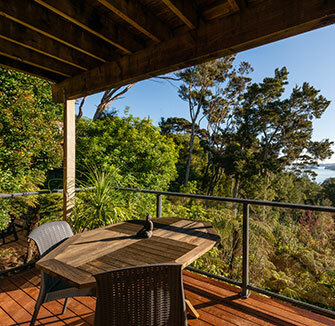 It is nestled amongst native bush, sitting cliffside with views looking out to Russell and surrounding bays. 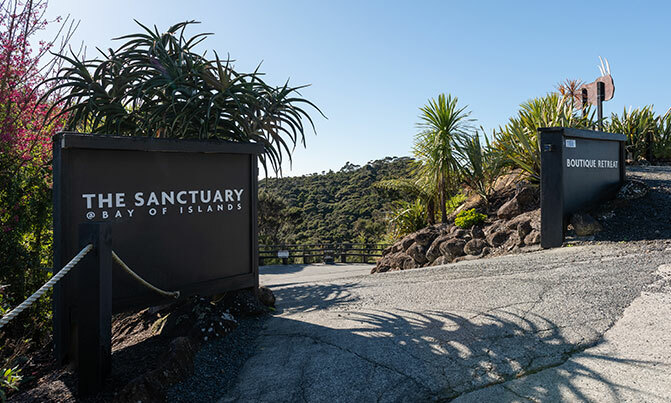 A scenic three-hour drive from Auckland brings you to The Sanctuary – simply the best Bay of Islands accommodation. From the country’s northern-most town, Kaitaia, it is a 90-minute drive. Paihia is well sign-posted from both directions from the state highways. Air services are available to and from Kerikeri and Whangarei airports and transfers can be arranged. There are few places in New Zealand, indeed in the world, where so much can be seen, savoured and experienced within a triangular stretch of land no more than a maximum of 90 minutes’ drive from any point and more frequently much less. Welcome to the Far North. 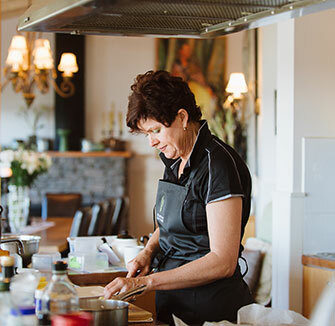 For the best Bay of Islands accommodation, be sure to select somewhere within easy reach of Opua and Paihia, as these two locations are of high historical and natural significance to New Zealand. The Cradle of the Nation guide on this website provides a truncated history of the Far North and the Maori meaning of the names of towns and sites. There are numerous opportunities to absorb New Zealand’s pre-European and colonisation in the Far North – Stone Store, Kemp House, Waimate Mission House, the Hokianga, Cape Reinga and, of course, the Waitangi Treaty Grounds where the covenant declaring our nationhood was first signed in 1840. A short ferry ride from Paihia will take you to Russell, or Kororareka, once famously known as ‘The Hell-Hole of the South Pacific’. Pompallier House, containing the country’s first printing press, and New Zealand’s first Anglican church can still be seen today. Don’t miss your opportunity to relax, renew and revive at our beautiful sanctuary in the spectacular Bay of Islands. Secure your booking with us today.